This stylish and contemporary, brushed, stainless steel wine cooler will grace any table. It has double walled insulation for effective cooling and can hold most standard wine and champagne bottles. 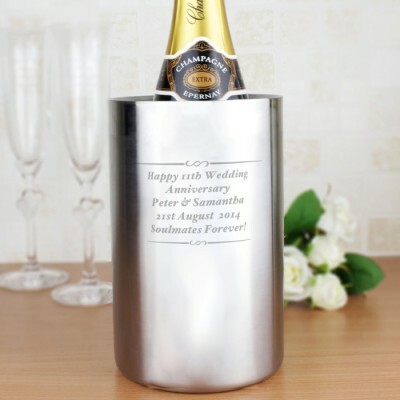 Personalise this Any Message Stainless Steel Wine Cooler with up to 5 lines. Suitable for our 70cl wine and has a 10cm diameter. Hand Wash Only.